Rose Hips: Start the morning with a crash course on the Top 10 Most Important Plants for food, medicine and crafts as we walk the “edges and margins” of forest and field to collect rose hips (the fruit of the rose) after what we hope will be our first frost, making the hips particularly sweet. But it’s the Vitamin C we are after in preparation for treating winter colds, and rose hips is our best natural source. Acorns: You never know whether it will be a good year for acorns since they randomly produce a bumper crop about 1 in 3 years. Many of the greatest world societies before mass cultivation of grain were based around the oak tree. Whether or not we can collect our own acorns from local native Oregon “Garry” White Oaks, we have plenty from past years to crack open and toss into boiling water to extract their tannins. We will also dry and grind some with mortar and pestle in order to make pancakes and other treats for dinner. In addition to being a critical food source, White Oak Bark has been one of the most revered medicines throughout the ages. Hazelnuts for Arrows & Food: Gather as many nuts as we were able to protect from marauding squirrels and jays, but also learn to coppice native Beaked Hazelnut trees infected with the Eastern Filbert Blight, and straighten its suckers for use as arrows. We’ll make hazelnut milk today as well! Stinging Nettles for Fiber & Food: Process and spin our strongest abundant plant fiber for this region, to make rope for all sorts of projects. We will harvest and dry it, then spin it into cordage using various “reverse wrap” methods. Take home what you make for use over the coming year. You might never buy rope at the store again! And, we’ll enjoy some healthy nettle tea while we spin. learning to properly dry and store it for continual use as a tea tonic for improved health during the cold and flu season.is our strongest abundant dry plant fiber, and early autumn is the most ecological time to gather them. We will harvest and dry it, then spin it into cordage using various “reverse wrap” methods. You can take as much home as you make for use over the coming year so you never have to buy rope at the store again. 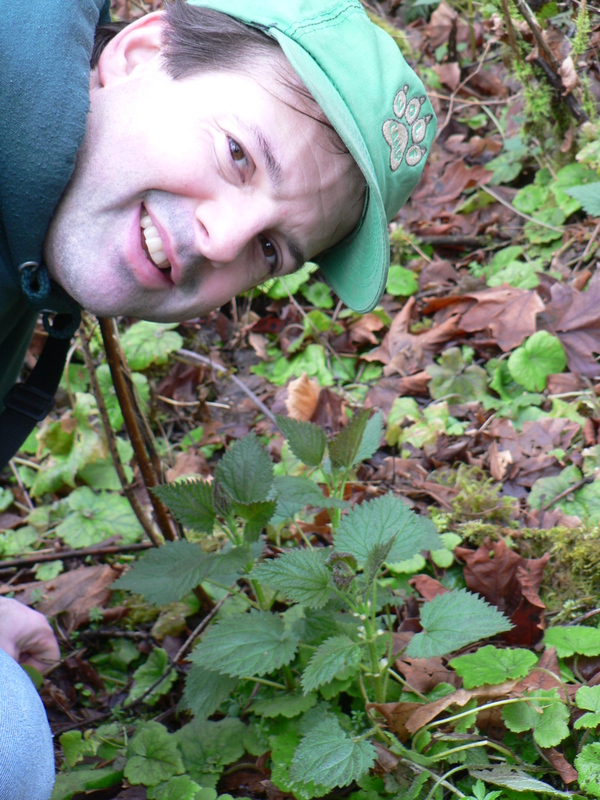 Further, nettles are an incredibly good source for fire tinder in otherwise wet forest environments. You will put together your own tinder bundle of nettle, grass, cattail and cedar bark to practice blowing coals into flame. We will also test the strength of nettle rope, using it while demonstrating the bow-drill method of traditional fire by friction. You’ll also learn to properly dry and store it for continual use as a tea tonic for improved health during the cold and flu season. 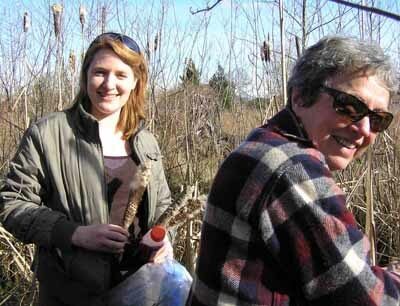 • Cattails for Food & Crafts: Learn the gifts of the cattail as we gather leaves from our #1 survival food plant and dry them to craft useful items such as rope, pot holders, or with enough time, window shades! Cattail is our greatest source of carbohydrates in the wild which you can roast over the coals of a fire, and work together to separate flour from the starch-filled rhizomes, adding that to “ash cakes.” Cattail is also our most abundant source of “down” for insulation and as part of a tinder bundle and “carrying match” used for keeping embers alive when combined with dried nettle stalks and other materials. • Willows for Baskets & Medicine: Learn the best way to collect and propagate willow for many purposes, including bark for lashing, shoots for basketry, and leaves for aspirin. We have several willow species in our region, both native and naturalized, with some being more strong and flexible than others. We’ll also look for non-native vine species like ivy, clematis, wisteria, and other plants that work great for basketry, and show you how to properly prepare and store them for future use. • Vine Maples for Baskets & Bows: We leave cedar bark basketry to Native specialists, but we do use fir and cedar roots for many things, as they are some of the strongest materials available, even when fresh. Similarly, vine maple branches are some of the strongest and most flexible materials anywhere, and a coiled basket from this tree is a beautiful sight to behold. In fact, vine maple and beaked hazel are our best, most abundant sources of material for bows and arrows! Growing all over Western Washington, hazelnuts are challenging to gather before the squirrels get them, but even if you have to buy the commercial variety called Filberts, you will learn that there is an amazing set of food products you can derive from them. • Conifers for Food, Medicine & Craft: We’ll show you how to find conifer roots in the forest which can be used for lashing, rope, baskets, and more, plus distinguish between the edible pine family trees, medicinal cedar family trees, and poisonous yew family trees which have very special uses. • $85 for additional friends/family members registering together. This workshop starts at the Wolf Camp home office of Blue Skye Farm in Puyallup. Directions will be provided upon registration. Our weekend workshops are designed for adults, but youth are also welcome to register with an enrolled parent or guardian. Credit/Debit Card Registration Option: Just call us at 425-248-0253 and we will run your card securely over the phone. Check/Mail Registration Option: Send with a check donation payable to the Wolf College, 1026 14th St. SW, Puyallup WA 98371 with participant name(s), phone number, email address, age of any minors, and any allergies or health restrictions we should know about. Or Use PayPal to register online securely with a credit/debit card or via direct withdrawal from your bank account. Just sign into paypal.com and “send money” to our email address.